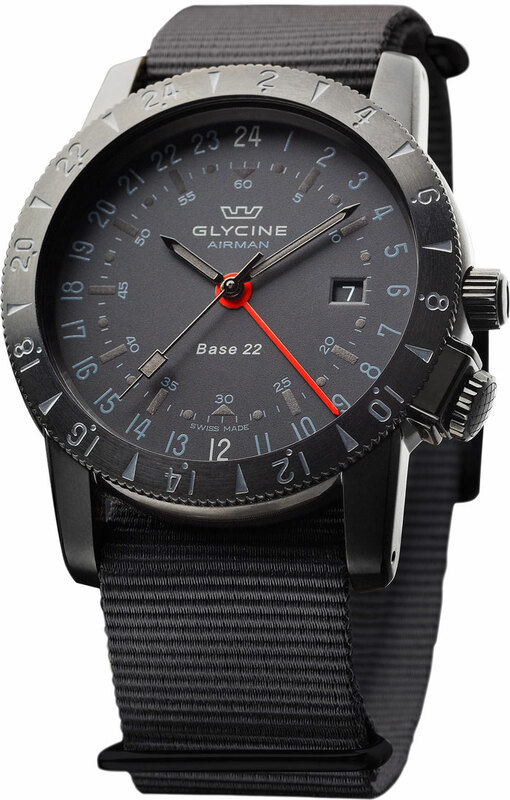 One of the most anticipated Glycine novelties from this year was their new Airman 17 Sphair 3927. We’re happy to say, the new styled GMT has landed at AZ Fine Time and this piece is by far more impressive then pictures can do justice. The Airman series is celebrating their 60th birthday this year, and in turn, a slew of new Airman’s have been introduced for this tremendous occasion. The newly delivered Sphair is a part of the revamped Airman 17 line up. As some of you may know, the 17’s have changed in movement as well as the thickness, making for a thinner timepiece than its predecessors. The movement has changed from a Valgranges A07.171, to the newly introduced GL 293, which has 21 jewels, a 42 hour power reserve, 28,800 bph and incredible fit and finish using perlage, striping and blue screws. The most appealing part of this piece is the rubberized bezel, crown and secondary crown which acts as a lock for the 24 hour bezel. The rubber for the bezel not only makes for an easier grip on the bezel itself, but also helps add protection and shock absorption to its front side. The rubber on both crowns also makes for an easy grip and easy adjustment when necessary. 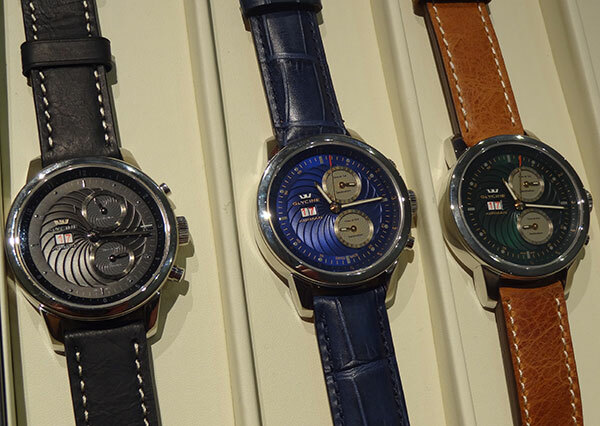 The Sphair is available in 2 movement types, the GMT as featured in this reivew, or a purist. The biggest difference between the two variations is that the GMT versions hour hand reads in 12 hour increments and the GMT hand will read in 24. 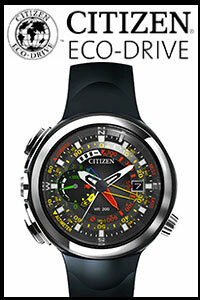 This allows the user to adjust the bezel making 3 timezones visible on the dial/bezel. The purist version will not have the additional hand, and will only display 2 timezones, with the hour hand reading only in 24 hour increments. The overall look of this piece is quite stunning. The matte rubber works well with the black matte dial. The burnt orange accents create a little extra “pop” which is a very nice touch. The overall legibility is very good, especially considering all that is going on within the dial. The case is mostly a high polished finish and measures out at 46mm wide and 10.75mm thick. 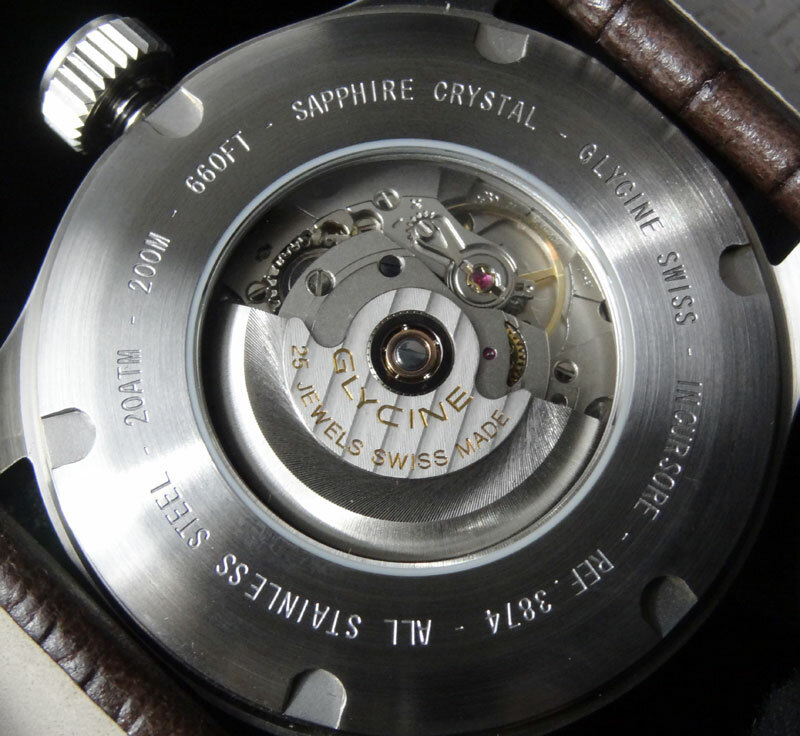 The old variations were 15mm thick, so the new movement has made a substantial difference. This Glycine comes on a black calfskin leather strap with white contrast stitching, which certainly blends very well with the rest of the watch. 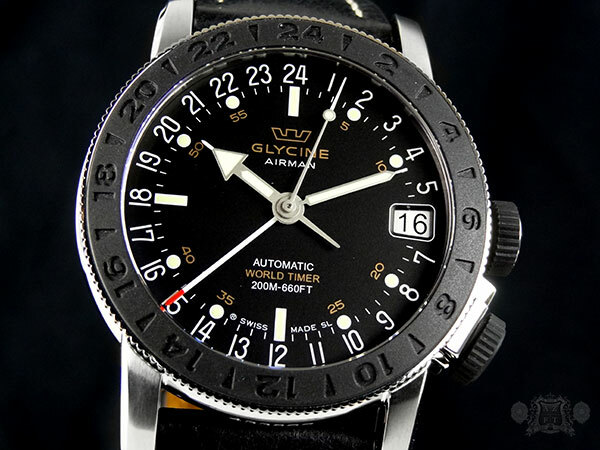 The Glycine Airman 17 Shpair 3927.196-LB9 retails for $2,950. 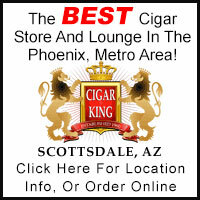 If you have any questions, please feel free to call us at 1-800-486-3996 and be sure to check us out on AZFineTime.com. 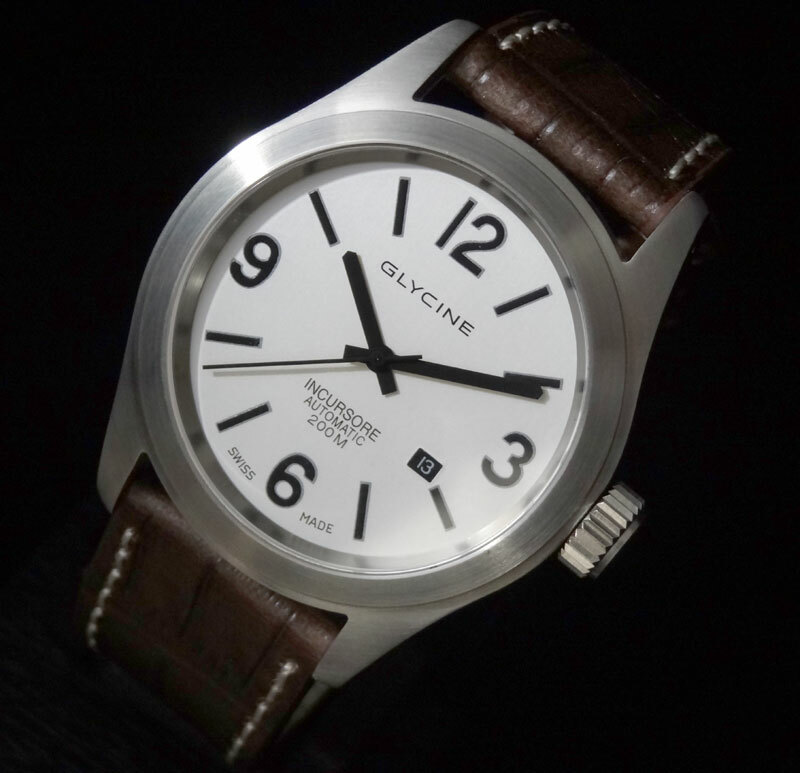 Glycine has really revamped their line up this year with whole new series, movements and even some changes to existing models. One of the highlights of the series is the newly introduced Airman 7. 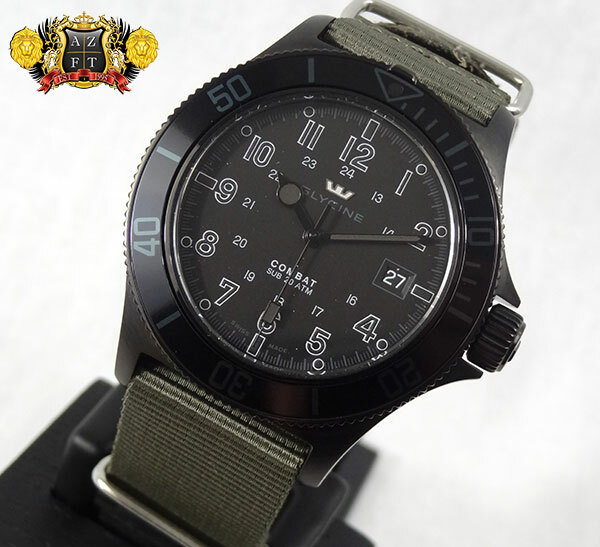 Glycine’s biggest hit of 2012 was their new Combat Sub Stealth. Introduced at the Basel Fair and with very limited availability, this model is finally in stock at AZ Fine Time. Needless to say, we’re glad they’re here. 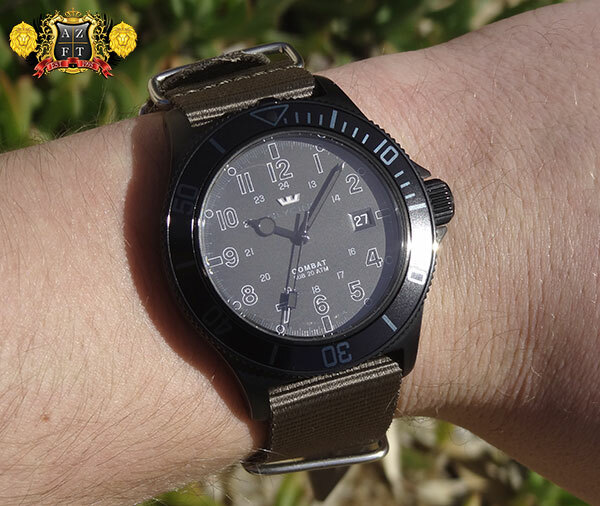 The military theme of the Combat series takes full effect in the Sub Stealth. With a black PVD coated 42mm case and blacked out numerals (which also utilize black luminova), it certainly lives up to the name. The nice attribute to the dial is that the numerals are outlined in white, which makes it much more legible than most “blacked out” pieces. The bezel is also black with a subtle gray 60 min counter. In my opinion, the strap is what really adds the character to this piece. 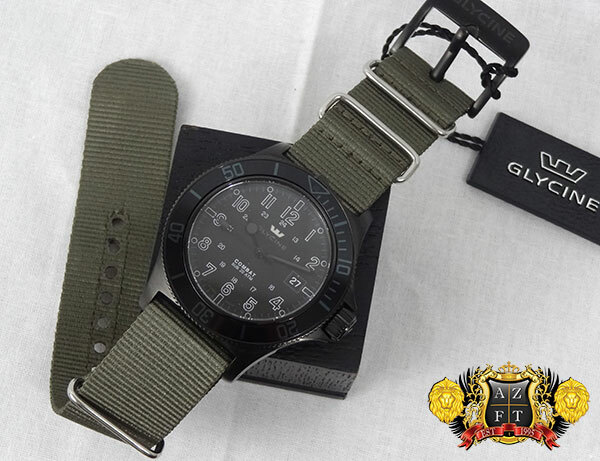 It’s olive green NATO strap is nicely designed and works very well with the black body of the watch. One interesting note I will make is that the clasp is PVD coated, yet the fold over rings are in stainless steel. This is an element I think gives more uniqueness to its design and overall look. 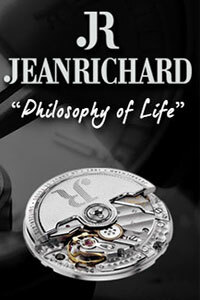 The movement is an ETA 2824-2, which is a workhorse, and is assembled and decorated by Glycine. Quality for the money is hard to pass up when it comes to the brand and the Glycine Combat Sub Stealth 3863.99AT9 N8-TB2 is no exception. At $1,350 MSRP, it’s an awesome price point, for an even more awesome watch. Should you have any questions regarding this piece or any Glycine, please feel free to call us at 1-800-486-3996. 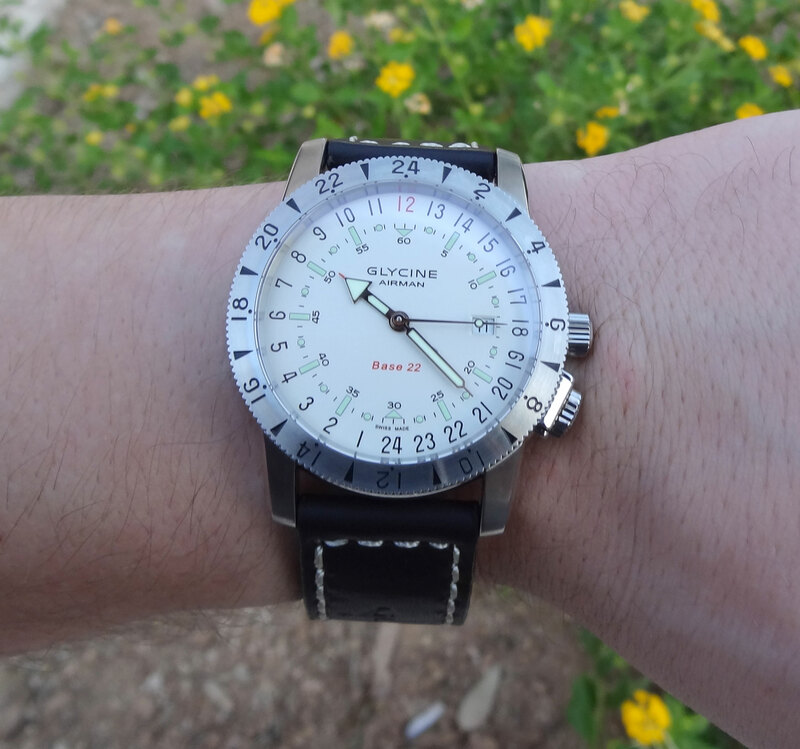 Glycine has a reputation when it comes to larger watches. It’s a trait that has brought the brand many years of success, even before large watches were the trend. 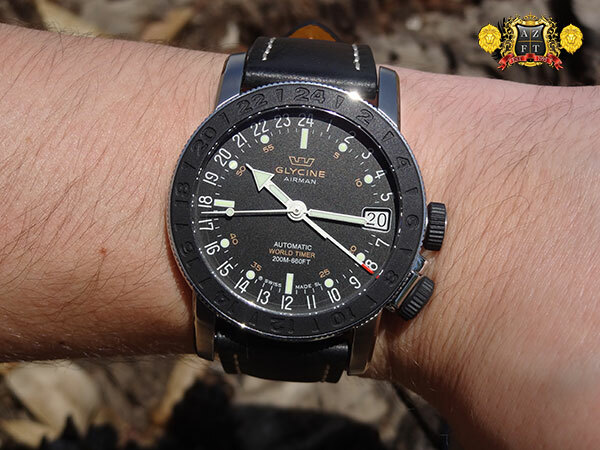 When looking at some of their pieces like the Airman 7, F-104 and KMU 48, you are seeing some of the biggest Glycine has to offer. In the late 90’s, Glycine introduced a 44mm manually wound timepiece (which was larger for back then) called Incursore, which paved the way for Glycine’s recognition with big timepieces. The Incursore now comes in either 44mm or 46mm. 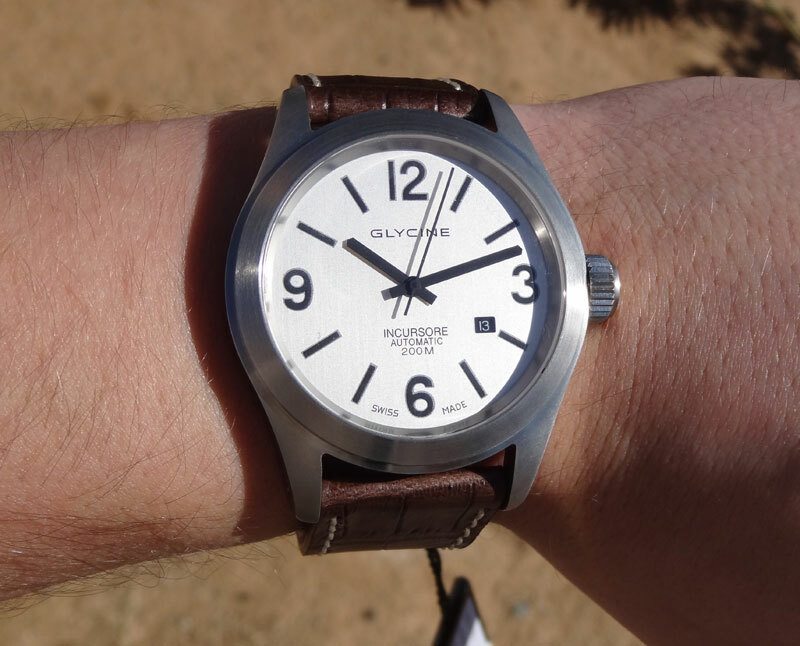 For our post today, we are introducing one of their latest, the Glycine Incursore 46mm Automatic Sap 3874.11-LBN7. This new introduction of Incursore is one of only variations to actually have a white dial, which is surprising since they look so awesome. This model in particular is incredibly legible. With black super luminova for the numerals/indexes, and matte black hands, it’s hard not to know the time. It’s simplistic design and larger size makes for a nice and easy read, while still looking great on the wrist. The case design is wide and long, but still fairly thin. It’s 11mm thickness is a nice attribute on such a beefy piece. The curvature to the case is nice and helps the piece sit on the wrist well. I do like the fact that the case is a completely brushed finish, as it will not show scratches as much as a high polish. The screw down crown’s design is easy to grab and function. The front crystal is sapphire, while the screw down case back is mineral. The movement is an ETA 2824-2 with the date window at 4 o’clock. The 2824 has a rate of 28,800 bph, 25 jewels and a 38 hr power reserve. 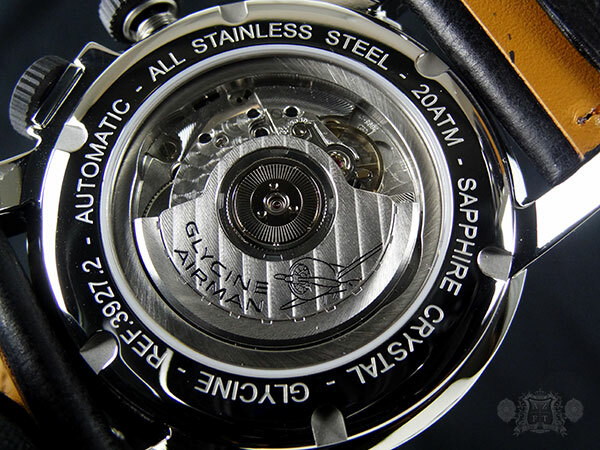 The movement’s nickle plated rotor is decorated in Geneva striping and has the Glycine logo. Simple, but nicely done. 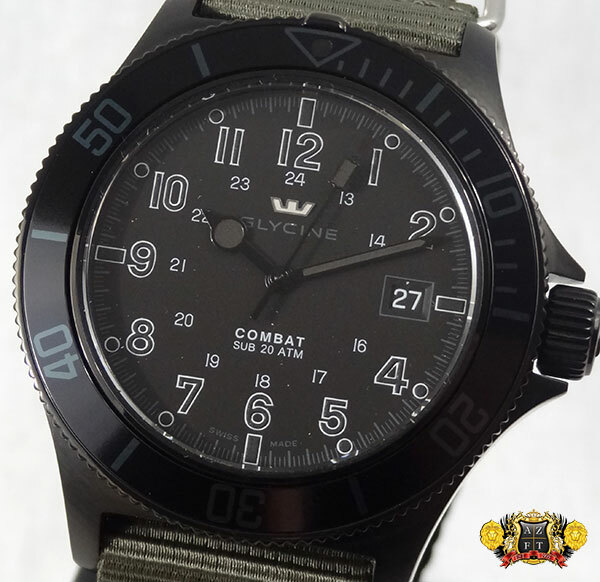 The retail on the Glycine Incursore 46mm 200M Automatic Sap 3874.11-LBN7 is $1,675. 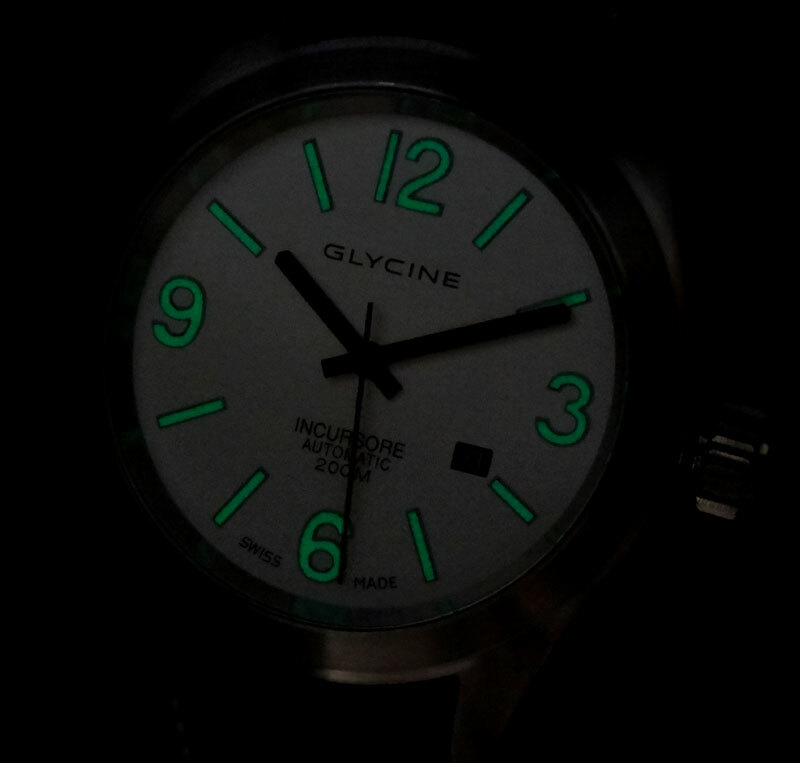 Another great value from Glycine and well worth the money. If you have any questions, please feel free to call us at 1-800-486-3996. We’re happy to help. 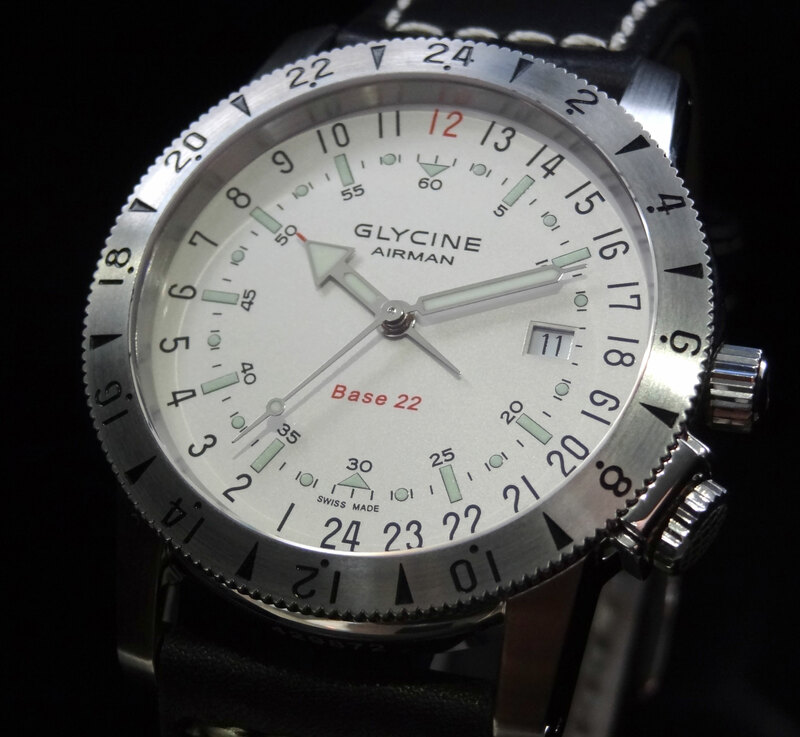 At the end of last month, Glycine announced 2 new Airman variations that were in the manufacturing process and to be released in mid November. 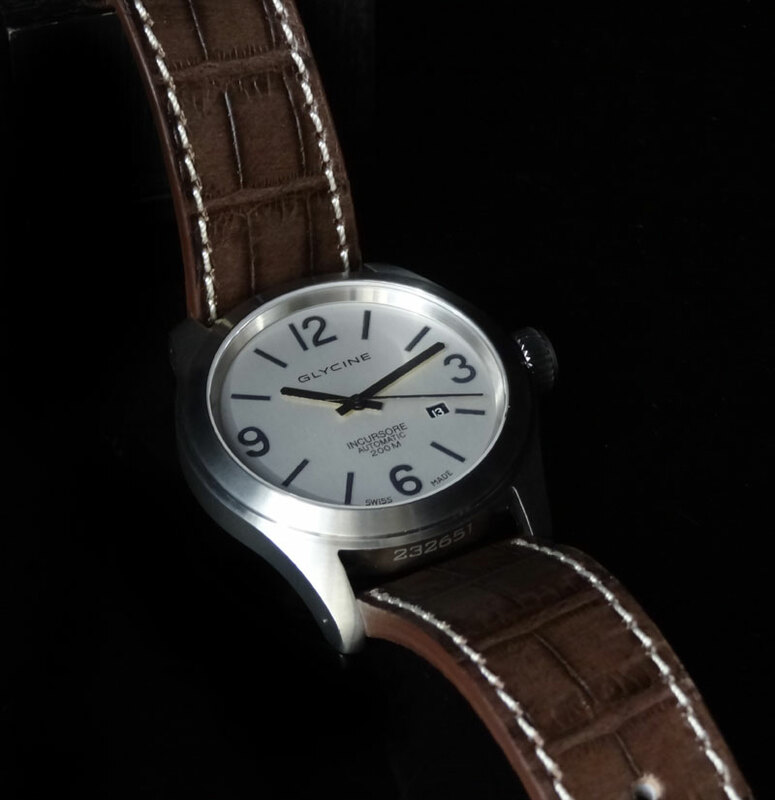 One of which is the new Glycine Airman “Vintage 1953” Limited Edition of only 600 pieces in the world. This new LE will come in only as a 24 hour counter with 2 timezones. The locking bezel is adjustable to set the secondary timezone and glycine has utilized a modified ETA 2893-1 for the actual time keeping. The pieces will come on a black NATO strap adding to the vintage feel. Retail is going to be $2,995. The Airman “1953 Vintage” was released as a commemorative piece to honor the very 1st Airman, which was launched in 1953, hence the name. This 60th Anniversary edition will be released before the new year, scheduled to arrive mid-November, and come in a unique wood box, reminiscent of the 1st Airman’s original packaging. 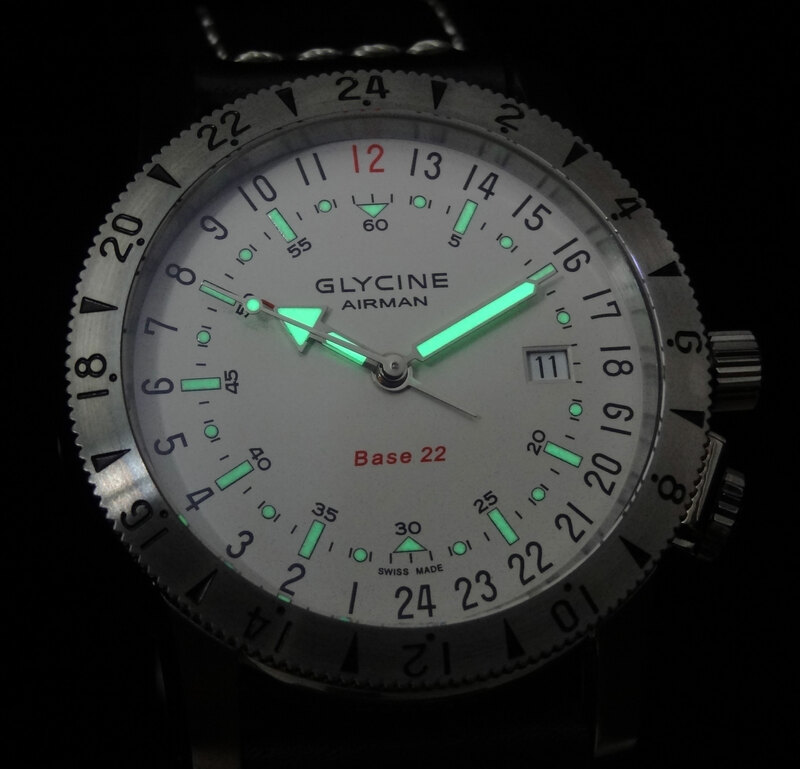 Another new release announced from Glycine is the Glycine Airman Base 22 “Mystery”. The all blacked out variation is going to be available in 2 movement types, a purist version only having 3 hands, and displaying 2 timezones. The other is the GMT version, with 4 hands, one of which is red displaying GMT, and displays 2 timezones. There is a cool black super-luminova on hands and indexes and comes on a black NATO strap also. The retail is estimated around $2300-$2400 retail. As always, feel free to call us at 1-800-486-3996 with any questions or if you wish to pre-order these very interesting Airman’s. If you are eying the 1953 Vintage, I would suggest calling sooner than later! 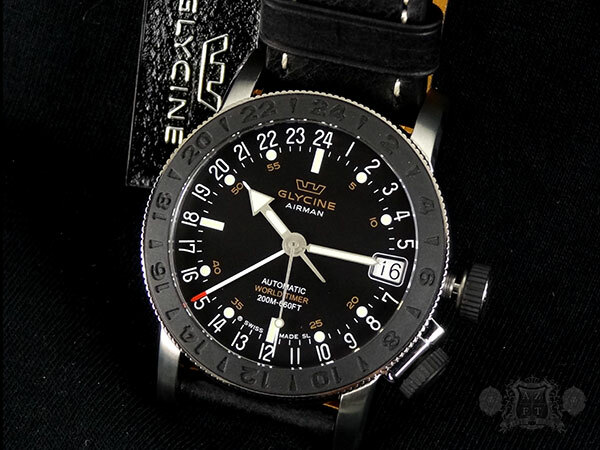 Glycine is renowned for their pilots watches. 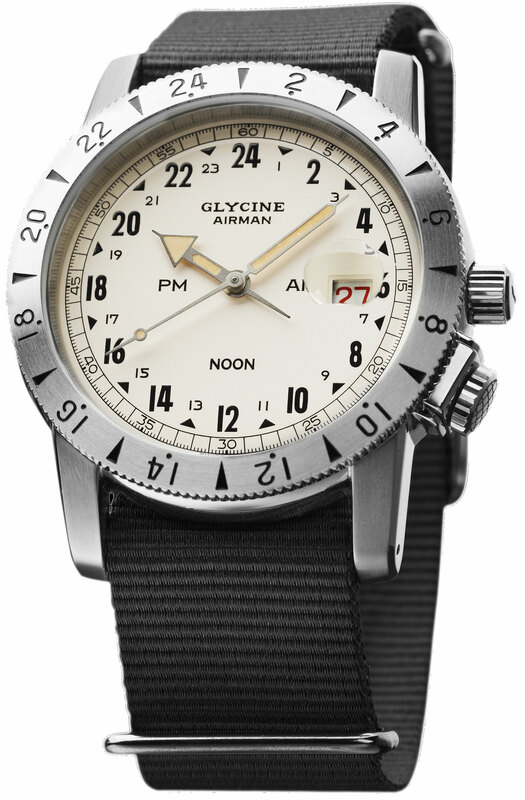 In fact, one of the most popular models Glycine has ever made is known as the Airman. 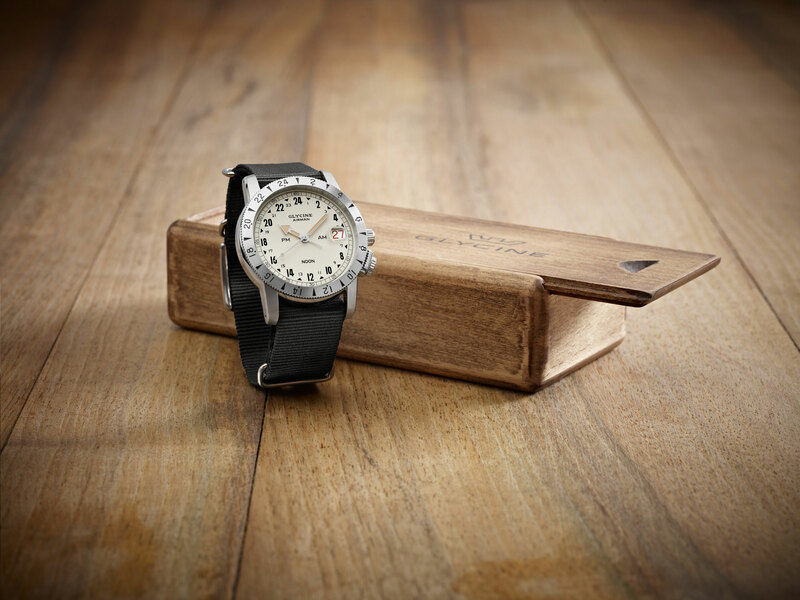 The Airman was 1st seen back in 1953 and was one of the most popular watches to count in 24 hour increments. The history of the Airman has lead to it’s popularity today and with many variations to choose from, but the Base 22 goes back to it’s roots the most. The series is actually available in 3 different movement variations…The Purist, which counts in only 24 hour increments, has 3 hands and displays 2 time zones. The GMT, which has 4 hands, counts in 12 and 24 hour increments and has 3 time zones. Also, the GA version, which counts in only 24 hour increments, has 4 hands and the has 3 time zones. Specifically, I will be discussing the Purist model of the Base 22 3887-11/66-LB9. The Purist is definitely the least busy of the 3 variations. I know for myself, reading the watch takes some getting used to as the dial only reads in 24 hour increments, and it is not something I have had in my collection before. For pilots and military, I am sure it would be much more convenient. 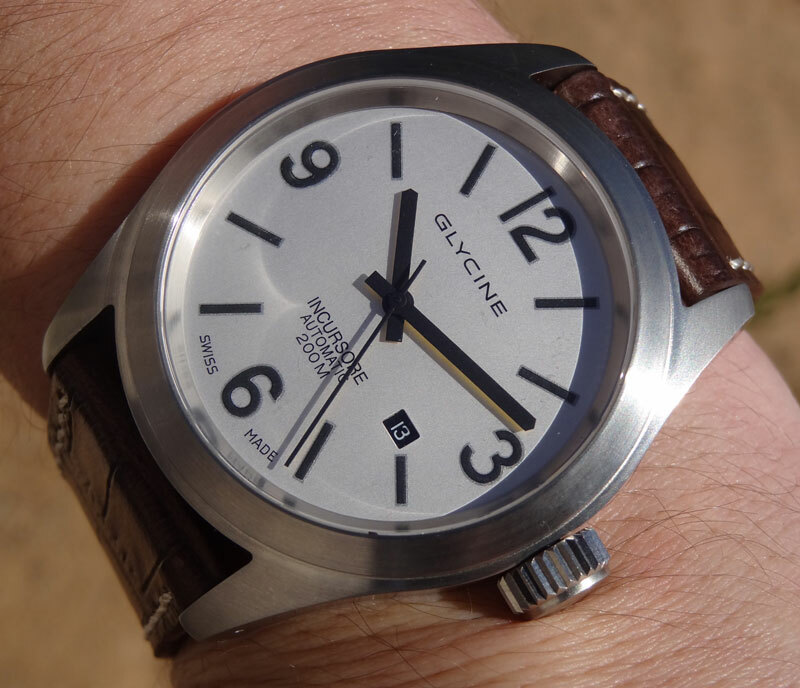 One of the interesting features of the Glycine Base 22 Purist is that the 12 o’clock indicator is actually at the 12 o’clock position, which is usually not the case. Most other 24 hour counters I have handled have had the 24 at the 12’oclock. On the other 24 hour counters, the date would change at the 12 o’clock position, where the Base 22 changes date at the 6 o’clock position. I personally think because of this, the watch will be easier for me to adapt to. 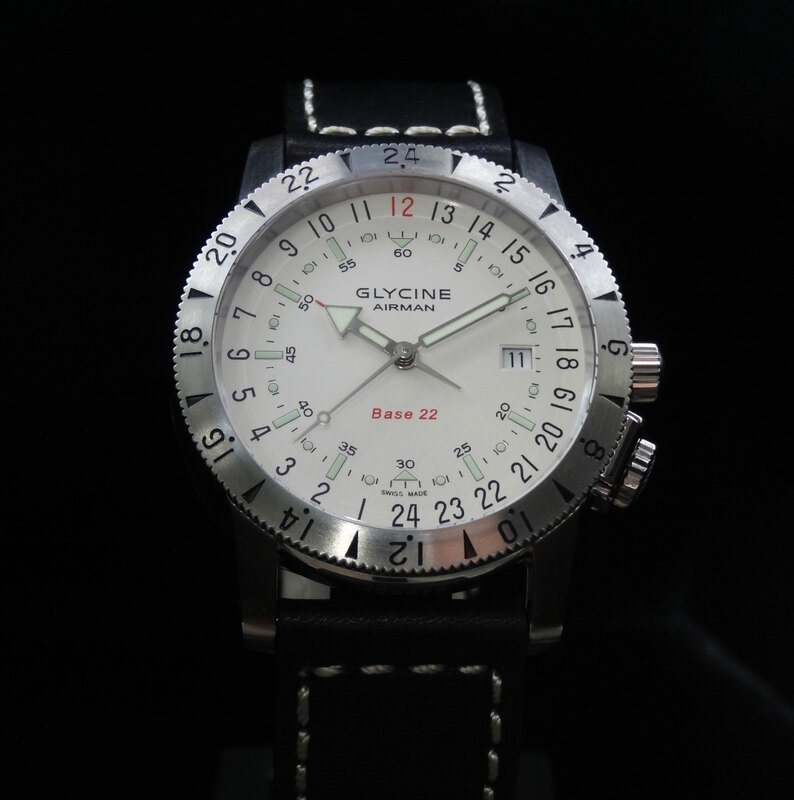 The Glycine Base 22 Purist has the 24 index dial, and it also has a 24 hour counter bi-directional rotating bezel. This allows the wearer the easily adjust timezones without having to adjust the actual time. 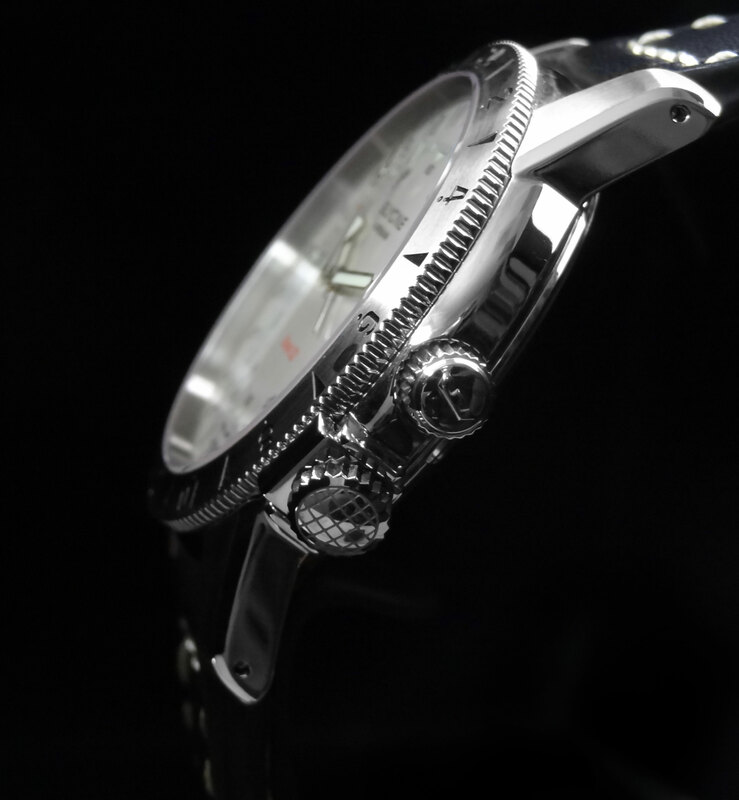 The bezel is engraved with the numerals so you can align the appropriate time to the hour hand. There is also a locking crown for the bezel at what would be the 4 o’clock position, reminiscent of the 1st Airman. Once the crown is unlocked, you can easily adjust the smooth gliding bezel and lock it solidly into place. Aside from the cool function, I think the additional crown gives the watch a lot of character. All 3 variations are base ETA 2893-2 movements, that Glycine decorates and modifies to meet the specific time displays. 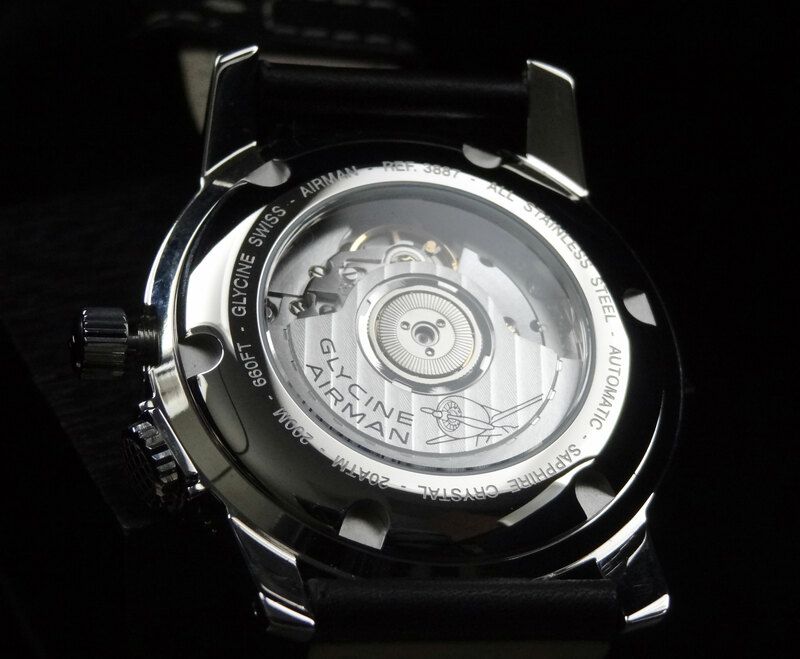 The movement is displayed through mineral crystal on the case back, but the dial is protected by sapphire crystal with dial anti-reflective coating. 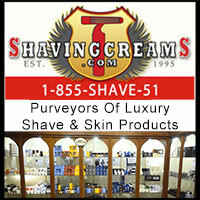 The case is 42mm wide and is a combination of brushed and polished finish. 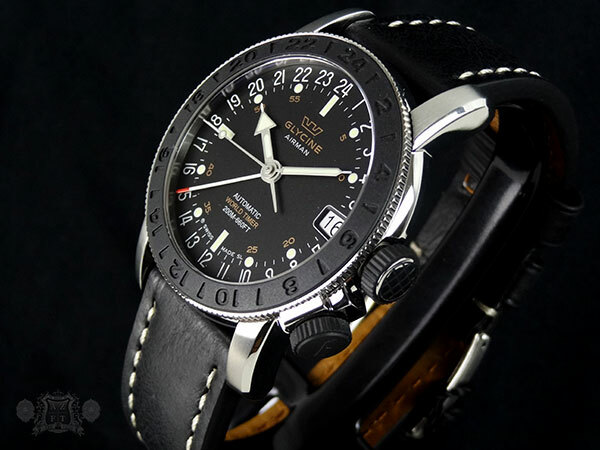 I think Glycine makes a fantastic timepiece for either a pilot or just a collector who loves unique function. The Base 22 is certainly a personal favorite. 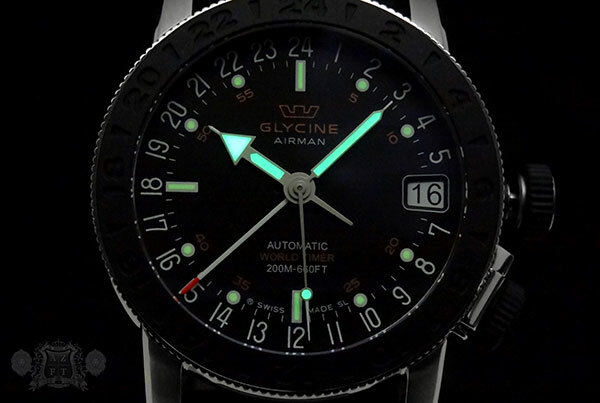 Retail is very reasonable considering all the watch does at $2,350 and also comes with a free copy of the book “Glycine Airman a 24 Hour Timeline of Flight”. 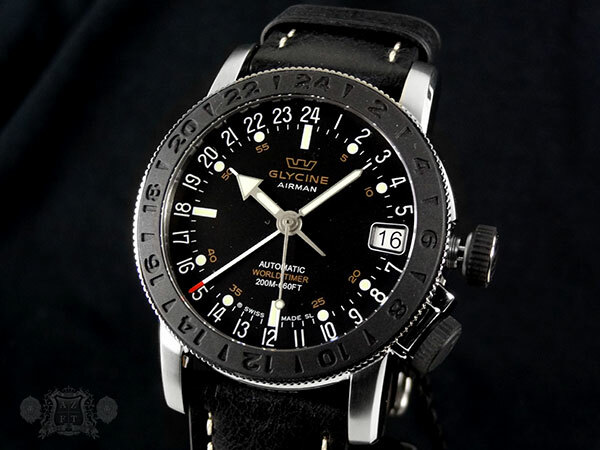 Feel free to check out all the Glycine’s at AZ Fine Time HERE.